"I have stated previously in many places - and refer to in the quote from my book above - that codependency is an emotional and behavioral defense system adapted by our egos in early childhood to help us survive living in the "Spiritually hostile, emotionally repressive, dysfunctional environments into which we were born." In this dysfunctional emotional and behavioral defense system, the "critical parent voice" is the ego's enforcer. It developed to try to control our emotions and behavior so that we could survive. It uses the same tools that our parents used to try to control our behavior - fear, shame, and guilt." "In recovery we are learning to develop a functional internal relationship with self - which will allow us to have healthier relationships with others. The key to doing that is detachment. The difference between disassociation and healthy detachment in my definition, is that disassociation is an unconscious reaction, a conditioned reflex - it is our default programming. Disassociation is a survival tool that helps us to not be conscious - that promotes lack of consciousness. Detachment in my definition, is not only conscious, but it is the key to consciousness raising, to en-Light-ment, to Spiritual awakening and emotional balance. It is the key to reprogramming our ego defenses and getting in touch with our True Self, with our Spirit / Soul." "It is healthy detachment that makes it possible to develop the objective observer / witness perspective that I talk about as vital to the inner child healing work, to the integration work. The detached observer is necessary to start changing one's relationship with self and life - and it becomes the mature adult we put in charge of our inner process and our life. In order to be in conscious recovery from our codependency it is necessary to develop this detached observer perspective so that we can turn down the volume of the critical parent voice and turn up the volume on the "the small quiet voice." That small quiet voice is our intuition - it is our Spirit speaking to us. And our intuition is an emotional communication that we cannot get clear on until we start being able to have some discernment and detachment when relating to our own internal process"
On this page is an article by inner child healing pioneer / Spiritual Teacher / codependency therapist on his fear of emotional intimacy defenses. This ia an article that is part of a series of articles which were focused upon issues involving gender, sexuality, romantic relationships, and directly related topics. This article Codependent Defenses - Part 2 disassociation vs healthy detachmentwas originally published online September 29, , 2004 on Robert's Inner Child / Codependency Recovery page on the Suite101.com Directory - which he wrote monthly column for from March 1999 until October 2005 There is a list of - and links to - the other articles in this series on Suite 101 on the Suite101 Articles page. The original article was used to create this page on Joy2MeU in May of 2007. We need to become clear internally on what messages are coming from the disease, from the old tapes, and which ones are coming from the True Self - what some people call "the small quiet voice."" We judge others negatively for being human because we judge ourselves negatively for being human. We cannot Truly Love and accept others as human unless we start to Love ourselves as beings and accept our humanity. We need to start observing ourselves and stop judging ourselves. Any time we judge and shame ourselves, we are feeding back into the disease, we are jumping back into the squirrel cage." At the end of my last column I stated that I would be writing some more about my Gatekeeper defenses, and I will be. However I decided that for this months column I needed to talk about the dynamics of codependency that produce the Gatekeeper - and specifically about the number 1 tool in learning how to see ourselves more clearly so that we can start changing our codependent defenses into healthy boundaries that will allow us to start Truly opening our heart to our self and others. 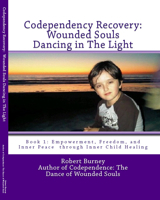 I have stated previously in many places - and refer to in the quote from my book above - that codependency is an emotional and behavioral defense system adapted by our egos in early childhood to help us survive living in the "Spiritually hostile, emotionally repressive, dysfunctional environments into which we were born." In this dysfunctional emotional and behavioral defense system, the "critical parent voice" is the ego's enforcer. It developed to try to control our emotions and behavior so that we could survive. It uses the same tools that our parents used to try to control our behavior - fear, shame, and guilt. Our emotions are what drive our behavior. So the bottom line control issue for the ego is to control our emotions so that we don't behave in ways that the ego programming believes will create a threat to our survival. Our ego's were conditioned to relate to life from fear, shame, and scarcity - because that is what our parents were programmed to allow to dictate their relationship with life. Growing up in emotionally repressive, dysfunctional, dishonest societies causes us to have a dysfunctional relationship with our own emotions. I am going to use another quote from my book here to stress how much this affects us. We are terrified of this pressurized pain, terror, shame, and rage energy - of "having our buttons pushed" -because we have experienced it in the past as instances where we have explosively overreacted in ways that caused us to later feel ashamed and crazy, or as implosive reactions that have thrown us into that deep dark pit of emotional despair within." As long as we have not dealt with this repressed grief from our childhoods it is impossible to be emotionally honest with ourselves - which makes it impossible to not only know who we are, but also causes us to be dishonest in all of our relationships. The intellectual paradigm - attitudes, beliefs, and definitions - that we are empowering, both consciously and subconsciously, is what determines our perspectives and expectations. Those perspectives - of our self, of the meaning and purpose of life, of how to relate to others - are what dictate our emotional reactions and our relationships. We are not able to get in touch with some of this subconscious programming until we do our grief work. It is impossible to fundamentally change that subconscious programming without doing our grief work - without owning, and learning to have compassion for the child that we were. We cannot learn to Truly Love ourselves, without healing the emotional wounds from our childhood. It is this suppressed grief energy, coupled with the negative intellectual programming from childhood, that creates the Gatekeeper. The Gatekeeper is a behavioral manifestation that is driven by our emotional wounds because we are still allowing our experience of life to be defined by the negative, fear and shame based programming - by the critical parent voice. We had to disassociate from our own emotions in childhood because the emotional pain would have killed us if we didn't. Denial and disassociation are survival tools that allowed us to survive childhood. Emotions are energy that is manifested in our bodies. In order to survive we had to learn to not be consciously present in our own skin in the moment. I am going to use some quotes here from a few of my articles about disassociation. "As a child I had to learn to disassociate, to not be present in the moment in my own skin, because the emotional pain was too great. The primary way I learned to be unconscious early on was to be in my head to avoid the feelings. Later on, I would use drugs and alcohol to escape being present "here" - in my body in the moment - but even then being in my head was my primary defense against feeling my feelings. I would fantasize, intellectualize, and analyze. I would focus on something or someone outside of myself - and was always caught up in the past or future. I was not capable of being present in my own skin in the moment because it was not okay to feel my feelings. Because I was living in so much fear - at the same time I could not acknowledge that I felt any fear - I had to put a great deal of energy into denying that fear. The last sentence in the above quote is at the core of why codependency is a dysfunctional defense system. The ego, in it's efforts to protect us from feeling our fear, causes us to be in our head worrying and obsessing - which creates more fear. It creates the magnified mutant monster type of codependent fear that I have talked about in other articles. This fear has so much power, not just because we learned to be afraid of our own emotions - but because we were programmed to fear life and other people due to the Spiritually hostile cultures we grew up in. All of us are connected to each other. All human beings have the same basic internal emotional dynamics. That is why I could learn a lot about my own process by studying cases of people who wounded so severely that they developed multiple personalities. The last sentence in this quote is the key. In recovery we are learning to develop a functional internal relationship with self - which will allow us to have healthier relationships with others. The key to doing that is detachment. The difference between disassociation and healthy detachment in my definition, is that disassociation is an unconscious reaction, a conditioned reflex - it is our default programming. Disassociation is a survival tool that helps us to not be conscious - that promotes lack of consciousness. Detachment in my definition, is not only conscious, but it is the key to consciousness raising, to en-Light-ment, to Spiritual awakening and emotional balance. It is the key to reprogramming our ego defenses and getting in touch with our True Self, with our Spirit / Soul. I am going to bring this months column to a close with a quote from an online book that I still haven't quite finished - that I already quoted a chapter from it in this column. In the Author's Foreword to this online book, I quote something that I wrote years ago for what I thought was going to be my next book to be published. Since I haven't been anywhere close to having the financial means to publish any more books, the internet is where I have been publishing my work. In this quote I talk about how essential it is to develop some healthy detachment from our own inner process so that we can start changing the dysfunctional ego programming and healing the emotional wounds. It is healthy detachment that makes it possible to develop the objective observer / witness perspective that I talk about as vital to the inner child healing work, to the integration work. The detached observer is necessary to start changing one's relationship with self and life - and it becomes the mature adult we put in charge of our inner process and our life. In order to be in conscious recovery from our codependency it is necessary to develop this detached observer perspective so that we can turn down the volume of the critical parent voice and turn up the volume on the "the small quiet voice." That small quiet voice is our intuition - it is our Spirit speaking to us. And our intuition is an emotional communication that we cannot get clear on until we start being able to have some discernment and detachment when relating to our own internal process. This is true in any dynamic involving human beings - personal inter- or intra-action, family, company, society, etc. The tools and techniques, method and process, laid out in this book are based upon principles of dynamic human interaction which could be applied to any level of human interaction - up to and including international. The "problems" in any system involving human interaction are merely reflections of dysfunction in the internal human process. The "problems" are the result of some part of the dynamic that is not working - that is dysfunctional - in furthering the goals, meeting the needs, of the system as a whole. This is true rather the system involved is an individual human being or a society. Just as grand, and compelling, is the complexity of the dance of interrelationship between the mental, emotional, and spiritual components/levels that dynamically interact to form the make up of the individual being - the persona, personality, consciousness, of the self. The more awareness is acquired about the different levels of the self, and the interrelationships between those levels, the easier it becomes to diagnose the dysfunctional interaction dynamics. . . . .
Detach 1. To unfasten and make separate; disconnect; disunite. "The goal of this dance of Recovery is integration and balance. That means celebrating being a tree while also glorying in being a part of the forest. Recovery is a process of becoming conscious of our individual wholeness and our ONENESS with all." The healing process is full of paradox and irony on multiple levels. One of those paradoxes is that in order to get in touch with our ONENESS with everything, we must first be able to define our self as separate from others. And in order to become an integrated whole being, we must first separate and own all of the different parts of our self within. As long as we don't have clear boundaries between our self and others, we cannot know where we end and someone else starts - we cannot get clear on what is our stuff and what is theirs. As long as we don't have clear boundaries within ourselves, we are set up to be the victim of our own thoughts, feelings, and behavior. The work in Dancing in Light is labeled Book 2 because Book 1 was published in July 2011. For more articles on Romantic relationships, see the Relationship section. Codependent Defenses - Part 2 disassociation vs healthy detachmentwas originally published online September 29, , 2004 on the Inner Child / Codependency Recovery topic page Robert used to write for the Suite101.com Directory.